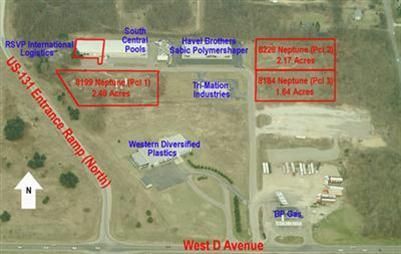 FOR SALE - 2.48-acre buildable site on light-industrial cul-de-sac located adjacent to US-131 off West D Avenue. Site is visible from US-131 on-ramp. Well, septic, gas & electric available. US-131/D Avenue exit, just east of highway. The approximate monthly Principal & Interest payment for this property would be $786. This payment is based on a 30-year loan at a fixed rate of 4.12 % with a down payment of $16,500. Actual lender interest rates and loan programs may vary.